- Royal Scot (1933). Lovely fold out leaflet with interior photos of the Royal Scot. - Poster (185mm x 297mm). Stylish image from 1932. - Misc Ephemera. Hotchpotch of tickets and luggage labels. - Trade Cards. 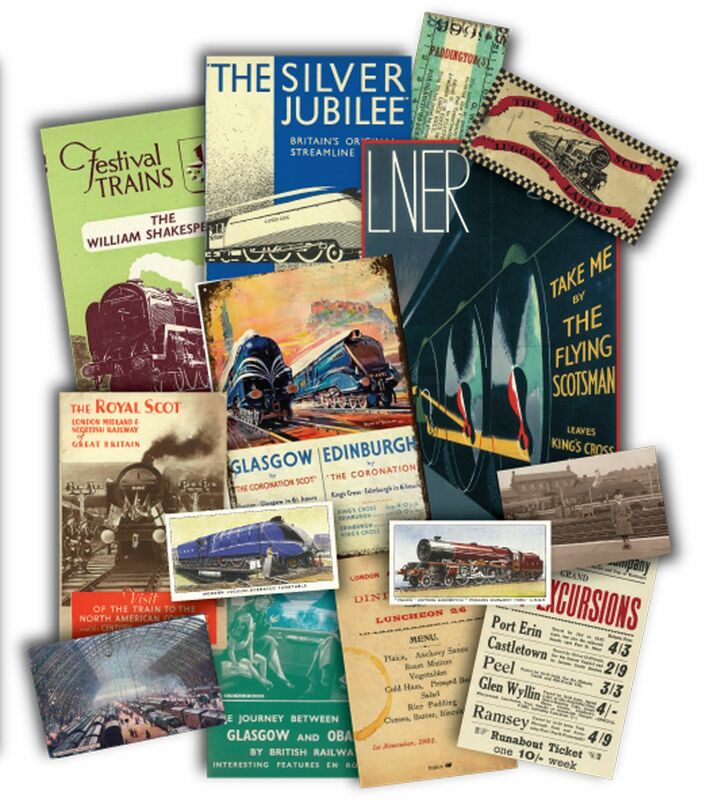 Colourful collection of tradecards and postcards transporting you back to another age. - Handbills. Various excursions, including a trip to a zoo and amusement arcade. - Glasgow - Oban Journey. Brilliant booklet on interesting sights to look out for during the West Coast journey. 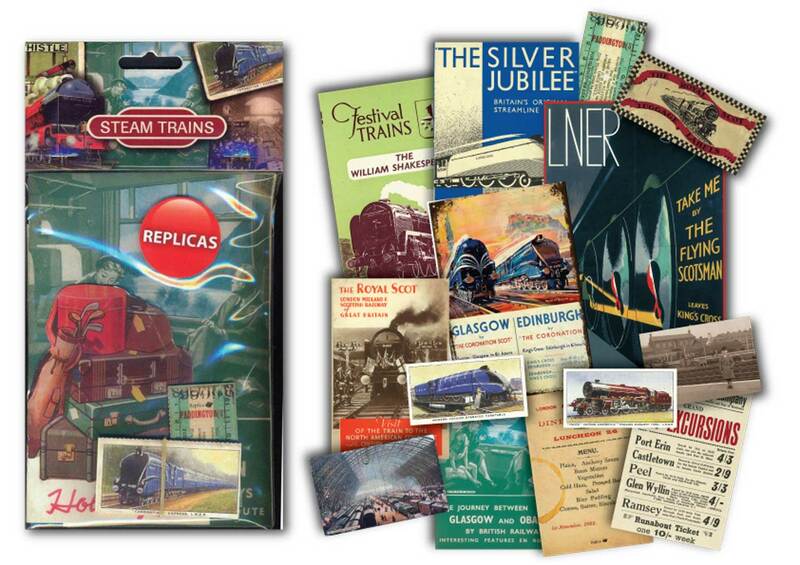 Great for School Projects, Birthday's, Anniversaries or a Nostalgic look back at the Golden Age of Steam Trains.